i Click 'view all' to instantly compare this ok deal with offers on other top duvet covers queen. HC COLLECTION 3pc 1500 Thread Count Full/Queen Duvet Cover Set, Cream is currently selling at $24.00, which is its normal price. It has a lowest price of $24.00 and is selling within its usual range. Price volatility is 0.15% (meaning it does not change often), so you might have to wait a while for the price to drop. Until then this is a recommended 'ok deal'. The current deal is also the best price on this item over the last month. 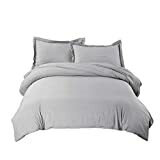 Compare the current price, savings (in dollars & percent) and Buy Ratings for the top Duvet Covers Queen that are closely related to HC COLLECTION 3pc 1500 Thread Count Full/Queen Duvet Cover Set, Cream. 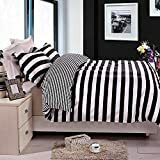 Here is how HC COLLECTION 3pc 1500 Thread Count Full/Queen Duvet Cover Set, Cream compares with other leading Duvet Covers Queen. HC CollectionUltimate blend of craftsmanship and elegance, our linens are designed to offer you a unique and sophisticated sleeping experience. 1.PROTECT THE LIFE OF YOUR COMFORTER: Down comforters can be an expensive investment. Our duvet covers will protect your investment by easily sliding over your comforter keeping it safe from tears, stains, sweat, and losing feathers.2.EASY INEXPENSIVE TO CARE FOR: Our duvet covers are machine washable, simply slip off your duvet cover and pop into the washing machine! No more expensive trips to the drycleaners with your down comforter! 3.TRANSFORM THE LOOK OF YOUR BEDROOM: Our duvet covers come in a large array of colors, and are an inexpensive way to change the look of your bedroom by simply switching out the cover! 4.HEALTY SLEEPING ENVIORNMENT: Our duvet covers are perfect for allergy sufferers! Unlike other fabrics, microfiber repels dust mites and other allergens, allergy sufferers will wake up feeling refreshed! BENEFITS OF MICROFIBERMicrofibers are distinctive for its unique thinness and strength. Woven tightly, it guarantees extra strength and durability. This fabric has desirable properties such as stain and wrinkle resistant, breathing ability, luxurious appearance and easy cleaning. Microfiber products are also the best choices for allergy sufferers. Allergens like dust mites and pollen cannot get in the densely weaved strands. In addition it considered environmentally friendly. Cotton takes a lot of water to grow and many pesticides are used to grow cotton that causes serious pollution. 100% SATISFACTION GUARANTEE At Bed Linens and More, we guarantee your 100% satisfaction! If within 30 days you are not 100% satisfied return your product for a full refund! NO QUESTIONS ASKED! 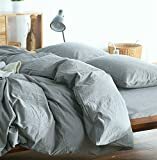 FeaturesTOP QUALITY CONSTRUCTION: 3pc Set - Full/Queen Duvet Cover 90" x 90" , 2 Pillow Shams 20"x 26", Duvet Cover made from Highest Quality Double Brushed Microfiber grains. The Unique weaving process of Our Double Brushed Microfiber bedding results in a dense fabric having thin strands and a smooth texture more durable and softer than the highest thread count egyptian cotton!MONEY SAVING SOLUTION: Our duvet covers act like a giant pillow case for your down comforter- making it the perfect solution to protect and increase the life of your comforter. No more expensive trips to the drycleaners our duvet covers are MACHINE WASHABLE and a seamless integration with your existing bedding! Large array of colors matching our Sheet sets, Pillowcases & Bed SkirtsLASTING PERFORMANCE: Our Top Selling Quality Bedding is made with the HIGHEST QUALITY FABRIC so you know it lasts! Double Brushed for OPTIMAL SOFTNESS YOU CAN SEE AND FEEL! Wrinkle and Fade Resistant; HYPOALLERGENIC, Resistant to Dust Mites, Vibrant Colors made exclusively not to fade with washings!TRANSFORM LOOK OF YOUR BEDROOM: Like changing clothes for your bed, our duvet covers are an easy inexpensive way to transform the look of your bedroom with a simple switch of a cover. Available in a large array of colors to suit anyones needs, simply swap out your duvet cover for easy changes from season to season.